Home » News & Blog » Blog » What are the common surgical errors that lead to a compensation claim? 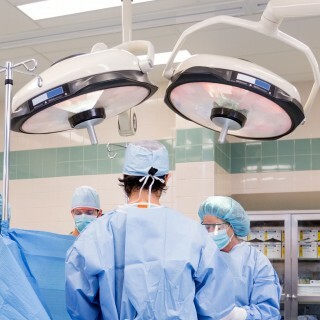 What are the common surgical errors that lead to a compensation claim? Surgical errors are extremely rare but when they do happen they can have a serious impact on a patient’s quality of life. For that reason it is necessary for people affected by a surgical mistake or omission to seek compensation to help them reverse or mitigate the impact of the negligent surgery. Here, we outline what the most common types of surgical errors are in the UK and what you need to prove to be able to claim compensation. Surgical related errors and omissions do not just occur on the operating table. The failure to carry out adequate pre-operative and post-operative procedures and practices can also lead to life-changing injury. Below we have listed some of the most common errors that lead to successful compensation claims. What do you need to establish to prove negligent surgery? Proving medical negligence following a surgical error or omission can sometimes be straightforward, but in most circumstances the facts are complicated and the cases are time consuming. Experienced specialist clinical negligence solicitors, like the team at Birchall Blackburn Law, can take on the burden and progress the case smoothly while the patient and family focus on their health and recovery. Every patient, operation and surgical related injury is different, however the law is clear on what needs to be established in order to bring a case forward for negligent surgical errors and omissions. – And that the breach of duty of care resulted in tangible harm or damage to you. This is because claims are not judged on the basis of wrongdoing but on the losses that were unfairly inflicted upon you. What do I do first if I suspect there have been surgical mistakes or omissions? Your first step should be to seek expert legal advice. Our clinical negligence team will provide initial free advice with no obligations. Take the opportunity to talk to them about what has happened to you or a family member. They have decades of experience and will be able to advise whether there is a case for negligence, if you need to obtain extra information, and what support is available. Call our clinical negligence team on 0800 230 0573 or for more information on how we help people, take a look here.